A RUP LIFE: Favorite Things - January! It has been awhile since I did a favorite things post but I have a few things that are new to me that I'm loving! These are going to be beauty, household and random things I love, a little bit of everything! My skin has been so dry this winter and a good friend told me about this peeling gel - Lemon Sparkling by Secret Key. This is extremely gentle and perfect for sensitive skin. It smells nice and fresh too. It is under $8 which a steal in my opinion. You apply this to your face and rub it gently around and your dead skin just lifts away. At first I thought it was a gimmick like maybe the gel is making the texture and not my dead skin but I rubbed some on my fingertips and nothing happened! I'm hooked. I do this like twice a week and follow up with a good moisturizer. This little gadget is fantastic for cleaning your makeup brushes. What I do is add a little cleanser (I use Dr. Bonners castile soap) then swish the brush along the groves. You'll see all the makeup coming out of the brush. Give a good rinse and your good to go! It really makes a difference rather than swishing on your hand because those grooves in the Brush Egg get up closer to the barrel clean deeper. I'm obsessed with my Amazon Echo and my Echo Dot. Yes, I have both. I keep the full sized Echo in the kitchen because the speaker is much louder. Then the Dot bedside. What I love is having access to music when every I want. I have an Amazon Prime account and add music to it all the time (so much is free on there!!). It also plays games, tells you the weather and time, acts as a timer, will create a shopping list and keep track and so much more. My kids love it too! 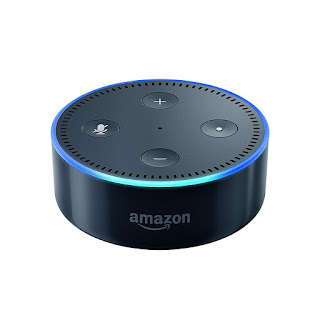 My 15 month old will yell at it "Alexa!" - which is adorable. 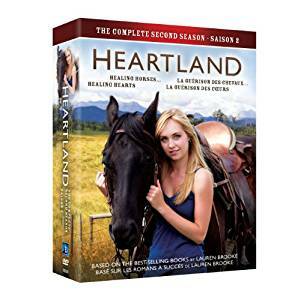 I've been watching the series Heartland on Netflix. This is family friendly and features a lot of farm life / animals. At first it was a little slow but I'm on season 7 now and I just love the characters. I think I'll have the boys watch after I'm done. I think netflix only goes up to season 7 so I'll probably buy the next couple on Amazon. So that is is for the favorites this month. What are your favorite things? Any suggestions for Netflix after I'm done Heartland?